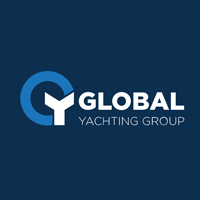 GYG plc (LON: GYG), the market leading superyacht painting, supply and maintenance company, has today announced its audited results for the year ended 31 December 2018. 2) Net debt position is defined as the net cash and cash equivalent balances, less short and long-term borrowings and obligations under finance leases. This is an alternative performance measure used by investors, financial analysts, rating agencies, creditors and other parties to ascertain a company’s debt position. 3) Order Book is defined as contracted but unbilled New Build and Refit projects across the Group. “Despite 2018 being a very difficult year for the Group and the wider market, we have made significant progress internally through Q4 2018 following our focus on improving the business and the way in which we operate. The changes we have put in place have provided greater visibility on future revenues, gross margins, sales and pipeline. The systems also ensure management can address any important issues earlier than we have been able to in the past, enabling the team to spend more time with key clients while focusing on winning business from both new and existing customers. There will be a presentation for sell-side analysts at 9:30am this morning, 04 April 2019, the details of which can be obtained from FTI Consulting.